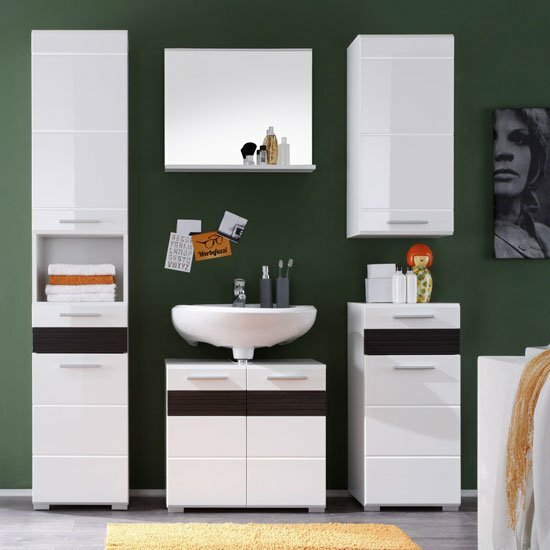 Of course, different people have different needs, but the main rule of a tidy bathroom – declutter! Throw away everything expired. Give away everything you do not use, but somebody could. Use everything you did not have an opportunity to use for a long time – like masques, hair conditioners and all the like. Minimalistic decisions can also contribute to functionality of the bathroom. Everything in the bathroom should go in sub-groups, such as tools, medications, travel products, hair products and accessories, teeth, skin, nail care products, hygiene products. Using categories will not just make everything easier to find but will help you to evaluate how much space you need and how it would be better to use it. Since the space in the bathroom is usually limited, one of the major tips for organizing bathrooms is to utilize vertical space. There are plenty of ways to do so – you may use stackable bins, both in such places as vanity cabinets and linen closets, or use open shelves. Over-the-cabinet baskets, over-the-door hooks, and stick-on hooks are also great solutions to keep all the kinds of supplies and products. One of the greatest mistakes in organizing any room is not to care what happens behind the closed doors. However, the are so many things which can help you to make the shelves tidier. For example, you may put towels in the wicker baskets according to categories or colors. This way, you will find the thing you want quicker and will not feel terrified that someone could peep into your linen closet. To prevent the bacteria get onto your supplies, do not forget that a number of products should be kept in closed containers. Such containers can be used for keeping cotton buds and pads. The jars are used for keeping cotton wool, and it will be better to keep toothbrushes in a cabinet. Bathroom cleaning supplies should be accessible. It is much easier to keep your bathroom spotless if you have a surface cleaner and a sponge right there where you are to use them. More attention to this issue should be paid if you have small children of pets. Safety is above all! So keep cleaning supplies high and in a closed plastic bin, so it is difficult for the children and pets to get them. Our bathroom is where you think our day over in the morning and relax before you go to bed. Nothing should make you feel unsatisfied with this place! Our tips for organizing bathrooms will hopefully not just make your home more comfortable, but even happier and brighter.